Want to sail on a Disney Pixar Cruise? Disney Cruises has just announced some very special Pixar themed cruises for September and October 2012 sailing out of Los Angeles. I have been lucky enough to sail on many Disney cruises and have my next one booked for November but I am very tempted to book this Pixar themed cruise. Our family loves Pixar (it is probably bordering on an obsession in our house)! and we most certainly loves Disney cruises so this seems like the perfect combination. This is the first Disney Pixar cruise. Although there are always plenty of Disney characters onboard a Disney ship and plenty of photo and meet and greet opportunities this is the first time that Pixar characters will be on board. 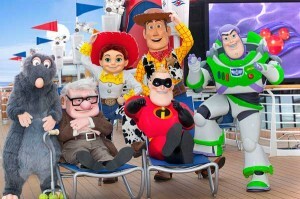 The Disney Pixar cruises will sail on the Disney Wonder from Los Angeles on Sept. 16, Sept. 23, Sept. 30 and Oct. 7 2012. The ports of call are San Francisco, San Diego, and Ensenada. So just what extra features will the Disney Wonder Pixar cruise have? Plenty of meet and greet opportunities with the Disney Pixar characters including Buzz Lightyear, Woody, and Jessie from Toy Story, Mr Incredible, and Remy. It seems strange now that I think about it that these characters are not usually on the Disney Wonder, but I am sure they will be so popular they will introduce them to future sailings. There will also be Pixar themed dance parties in the atrium – this sounds like a lot of fun! Want to see behind the scenes and learn how Pixar creates those amazing movies? Artists and movie makers from Pixar will be on board. Disney cruises does have some great guest speakers onboard select cruises and I am very excited to see who they have on board the Disney Wonder. We were very privileged to be able to see and talk with Leslie Iwerks on one Disney cruise and this greatly enhanced our cruise experience. So hoping for great things with this Pixar themed cruise. Guests will be able to take a behind the scenes look at the creative process behind the soon to be released Pixar movie Brave. We saw an amazing presentation of artwork at last year’s D23 Disney conference so would love to see this on a Disney cruise. There will also be presentations on future Pixar movies. Disney Wonder cruise guests will also see “storyboards, character sketches, environment paintings, maquettes, and concept art” from the Pixar movies. This is so exciting because this is rarely seen outside the Pixar studios. 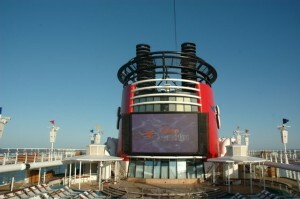 On this very special cruise there will be many showings of Disney Pixar movies. There is a great movie theater on board, the Walt Disney Theater and of course there are showings all day outside on the huge screen above the pool. Guests will get to take home a very special commemorative lithograph from Pixar artist and “Brave” co-director/screenwriter Steve Purcell. Want to get a great deal on a Disney cruise? I have a Disney Authorized Travel Agency and 20 years of experience of Disney! Contact us at EverythingMouse Disney Travel Agents for FREE EXPERT HELP. Mention that you follow “Deal” ectable Mommies and I will arrange a very special onboard credit of $50 per stateroom for you! There are so many different Disney cruises to choose from as there are now 4 ships sailing! Sail from Port Canaveral, Miami, Galvaston, Seattle, and Barcelona! 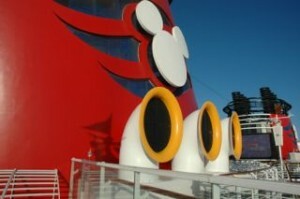 There is something for everyone and a Disney cruise is great value for a family vacation. Contact Us to find out more about our personalized service. 24 Pack of Play-Doh just $7.99 at Target! Kids & Teen’s Bed in a Bag for only $32! HOT Deals on Holiday Gourmet Gift Baskets at Amazon!